By Anthony Crupi . Published on December 20, 2018. 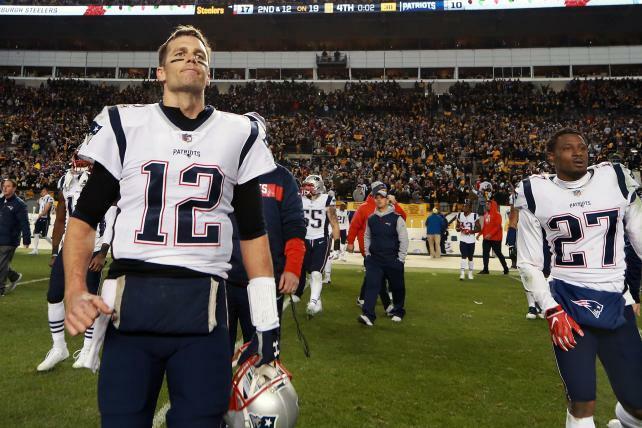 Patriots quarterback Tom Brady won't be around to bask in the NFL's new media deals, but the legacy TV networks sure will. The bulk of the NFL's current rights portfolio officially won't be up for grabs until after the end of the 2022 season, but if history is any guide, the league may begin the requisite blocking and tackling with all interested parties as early as next year. And while analysts suggest that at least one legacy broadcaster's renewal prospects will be buried under a heap of ones and zeroes, Wall Street's feverish haste to toss dirt onto the lid of linear television's vacant casket is a bit short-sighted. In a recent report issued to investors, Barclays media analyst Kannan Venkateshwar speculates that the NFL's desire to adapt its next slate of rights deals could leave CBS out in the cold. "CBS has a relatively limited balance sheet to bid up rights significantly," Venkateshwar writes, adding that the company's commitment to buying back as much as $1 billion in stock on an annual basis and its investment in its CBS All Access over-the-top service could leave it ill-suited to dig in should the digital disruptors drive the price up well beyond the $1 billion per year it currently pays for its Sunday afternoon package. The Barclays analysis, however, does not take into consideration how quickly CBS would level up should it merge with Viacom. Now that reunification antagonist Les Moonves has been removed from power, it appears increasingly likely that the new-look CBS board (one that is now loaded with mergers-and-acquisitions specialists) will back Shari Redstone's long-deferred desire to combine the two properties. That sort of scaling up would serve to neutralize any concerns about CBS's ability to compete in the NFL auction. Fox memorably separated CBS from its longstanding NFL incumbency back in 1993, when Rupert Murdoch offered then-commissioner Paul Tagliabue the princely sum of $1.58 billion (about $2.76 billion in 2018 dollars) for a four-year deal. That yearly $395 million payment marked nearly a 50 percent premium over the $265 million rights fee CBS paid at the time. "The next cycle of NFL renewals is in some ways more comparable to the renewals in the mid-1990s rather than recent cycles," Venkateshwar writes, adding that the 1993 Fox deal "realigned the media landscape for years to come and arguably laid the foundation for Fox to become a major player in U.S. media." Venkateshwar points out that Fox's usurpation of its more established broadcast rival was particularly disruptive, as it indirectly gave rise to the establishment of NFL Sunday Ticket, a new portfolio of out-of-market games. And thus analogy rears its scaly head, as it's clear that a similarly disruptive offensive strategy by one or more members of the FAANG (Facebook, Amazon, Apple, Netflix, Google) set could irrevocably change the complexion of the Sunday TV windows as well as the Monday primetime showcase. But is the NFL sufficiently enamored with the streaming experience to go all-in on a digital-centric package that would eliminate one of its legacy broadcast windows? That's the $64 billion question. As much as the legacy TV networks are sure to face some fierce competition from the FAANG crowd, NFL officials have intimated that the tech giants don't seem to have the capacity to host a pro football-scale event. Speaking at an industry event in August, NFL Chief Media and Business Officer Brian Rolapp said there's been little evidence to support Big Tech's assertion that it can satisfy the league's top priority, which is to approach ubiquity. Rolapp went on to acknowledge that the tech giants certainly have the resources to demonstrate their ability to provide broadcast-quality streams before the media-rights packages go on the block. "It's one of these things that will need to be resolved. Money is not the issue for these guys." Rolapp's comments echoed the sentiments of NFL Senior VP, Digital Media Vishal Shah, who at last fall's NeuLion Sports Media & Technology conference intimated that a digital-exclusive package is unlikely to usurp one of the existing TV deals. "We continue to think some of the best days are ahead [for linear TV] despite some shifts in the media landscape," Shah said. "We think there's a marketplace for exclusive digital packages, but overall we want to make sure we're driving value for our existing partners." As much as the NFL has been actively kicking the tires on digital partnerships with the likes of Twitter, Amazon, and Verizon, live streaming accounts for just a fraction of the league's overall impressions. For example, Amazon Prime simulcasts of Fox's inaugural slate of "Thursday Night Football" broadcasts eked out an average-minute audience of around 500,000 viewers, which works out to just 4 percent of the 14.1 million fans who tuned in via traditional TV. Rather than approaching the market as a sort of zero-sum game, look instead for the linear TV networks to share the road with the digital upstarts when the next round of negotiations begins. In other words, rather than merely outspending broadcasters for the rights to produce and distribute something as pricey and complicated as a roster of NFL games, it would perhaps better serve the interests of all parties involved if a Google/YouTube, Amazon or Facebook strikes a strategic partnership with a legacy broadcaster. In a cooperative alliance, a Fox or CBS or NBC would retain TV exclusivity, thereby ensuring the games remain accessible to the largest segment of potential viewers, while one of the digital players locks in the streaming rights. The economics of such an arrangement all but certainly would appeal to the NFL's legacy media partners and their advertisers. In addition to sharing the rights fee load, the networks would gain access to a promotional pipeline through which to engage viewers far younger than the 40- and 50-somethings who make up the bulk of the TV audience. At the same time, broadcasters may enter into such an arrangement knowing that they aren't necessarily participating in an act of self-cannibalization. Venkateshwar maintains that one or more of the FAANG entities could very well push an incumbent NFL TV partner to the sidelines. "With Amazon, Google and Facebook all interested in sports rights … we believe NFL rights could again serve as the fulcrum between the past and the future media landscape," Venkateshwar writes. "In our opinion, there is some risk that the next round of negotiations could result in an outcome where some incumbents may find it tough to compete for rights." If any network gets muscled out of the huddle, it's not going to be Fox. With an average draw of 23.1 million viewers and a 12.7 household rating, Fox's Sunday afternoon national window ("America's Game of the Week") is on course to close out its tenth straight year as TV's most-watched, highest-rated program. Meanwhile, the recently-acquired "Thursday Night Football" package continues where CBS and NBC left off, ranking second in the primetime ratings behind perennial No. 1 seed "Sunday Night Football." Fox's intention to shift to a much more sports-intensive broadcast schedule was writ large by its sale of its studio assets to the Walt Disney Co., as well as its $3.3 billion "Thursday Night Football" deal and subsequent $1 billion pickup of WWE's "SmackDown Live." Along with its NFL, Major League Baseball and college football commitments, the two aforementioned deals next year will serve to squeeze out much of Fox's fall scripted content, limiting the network to just eight hours of entertainment programming per week. The future of Fox is live sports, and given the dominance of the NFL—in the fall, pro football accounts for about 55 percent of its overall GRPs—there is no way in hell the Murdochs will let anything come between their broadcast empire and Sunday football. Digital rights aside, the only nagging question that hangs over a Fox renewal has to do with whether the NFL will break up its near-hegemonic hold on the Sunday ratings title by carving out a few new afternoon packages that are more conference-agnostic. With two weeks left before the playoff draws are mapped out, Fox has aired seven of the season's top 10 highest-rated broadcasts, a roster that featured no fewer than 13 NFC clubs. Compared to the $1.03 billion annual fee CBS forks over for its AFC package, Fox pays a premium of around $100 million per season for its Sunday afternoon package. Given that the NFL's cross-flexing initiative in recent years has served to place more high-profile games on CBS—this season, four NFC showdowns aired in the network's national windows—the league may very well look to even the playing field with a less regimented TV schedule. If Fox is a lock to re-up with the NFL, NBC is no less likely to keep the ball rolling on Sunday nights. Under the Peacock's stewardship, "Sunday Night Football" is on track to mark its eighth consecutive season as primetime's highest-rated program, which suggests that there's little to be gained from a change of heart on either side. Given Comcast's deep pockets, cost isn't going to be a factor here. As is the case with Fox, much of NBC's fall ratings can be chalked up to its live NFL coverage and the attendant shoulder programming leading into the games. Top-performing entertainment franchises such as "This Is Us" and "The Voice" only do so much of the heavy lifting for NBC; strip out the sports and the network's current C3 average is a 1.3 rating, which marks a 35 percent drop versus its football-fortified 2.0. Another development that may be characterized as an inevitability has to do with the continuation of Disney's relationship with the NFL. Since taking the reins in March, ESPN President Jimmy Pitaro has made a concerted effort to shore up the network's working relationship with the league, and an 8 percent improvement in the "Monday Night Football" ratings has both sides fairly chuffed. In his note to Barclays clients, Venkateshwar suggests that Disney may look to "drop 'Monday Night Football' … and instead bid more aggressively for 'Sunday Night Football,' which can be made available on ESPN or on ABC." ABC in this case is a viable option, should Disney elect to bring the NFL back into the broadcast fold, but ESPN hosting "Sunday Night Football" is a non-starter. Given the erosion occasioned by cord-cutting and the ongoing shift of younger viewers away from the traditional cable model, the NFL is unlikely to swap legacy, deep-pocketed broadcaster NBC from the Sunday night glamour slot. And without "Monday Night Football," ESPN's leverage in negotiating renewals with cable, satellite and telco operators would be significantly diminished. Speculation about Disney's desire to rid itself of the pricey Monday night NFL package seems to be based on the presumption that ESPN is a drag on Disney. That's a tough pill to swallow, given the aforementioned billions Bristol still manages to generate by merely transmitting its signal. And despite losing 2 percent of its linear TV subs in 2018, the expansion of the network's OTT offerings and virtual-MVPD carriage is earning back a good deal of revenue that might otherwise be lost to churn. "Monday Night Football" deliveries underscore the success of ESPN's digital reclamation project; season-to-date, ESPN's app and out-of-home impressions account for nearly 15 percent of its overall NFL ratings, and each of those bonus views is bought and paid for. None of which is to suggest that ABC isn't in dire need of an infusion of NFL-caliber ratings. Season-to-date, ABC is last among the Big Four networks with an average C3 rating of a 1.0, which translates to fewer than 1.3 million adults 18-49 per night. And the network's Sunday night roster of unscripted series is glaringly anemic; season-to-date, the four-hour block is eking out a 0.7 in the dollar demo. That said, it's unlikely that the league would allow a single media company to lay claim to two consecutive nights of primetime games. A more viable strategy might see ABC looking to bid on "Thursday Night Football" while its cable sibling negotiates for a far more competitive Monday night slate. One rights package that may serve as a trial balloon for the NFL's longterm media strategy is DirecTV's Sunday Ticket. After a quarter-century partnership, the league this spring may trigger an option to terminate the deal well before it is set to expire in 2022. Speaking earlier this month at the UBS Global Media and Communications Conference, AT&T Chairman and CEO Randall Stephenson expressed some frustration with the limitations of the out-of-market NFL package. "The problem with some of these sports rights is … we're limited as to how we can distribute that product," Stephenson said of Sunday Ticket, for which AT&T pays the NFL $1.5 billion per year. "We think we could have an incredible amount of success if we could distribute that product through our streaming platform, but those rights are restricted. We're limited to our satellite delivery platform, so it kind of has limited usefulness." The NFL this season has allowed AT&T to stream NFL Sunday Ticket via the DirecTV Now platform in a handful of markets, including Boston, Philadelphia and Los Angeles. The league is said to be studying the data in order to make an informed decision as to the value of a standalone streaming service; should it opt to walk away from all that guaranteed cash, it will do so during the annual owners' meeting in March. "As the world changes and more and more people are streaming this content on the move, on the go, on smaller devices, on different screens, we think it's really important for these rights to evolve as well," Stephenson said resignedly. "But right now, it's pretty much a churn-retention product." If the NFL does elect to go out and explore the market this spring, no package would be more ripe for a makeover than Sunday Ticket. Not only are Amazon or Google uniquely positioned to be able to absorb the vertiginous costs associated with securing an exclusive NFL rights package, but both disruptors would be better suited to subsidize the investment.